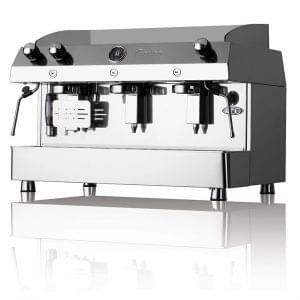 The WMF 1200 S is a high quality professional coffee machine for medium use. 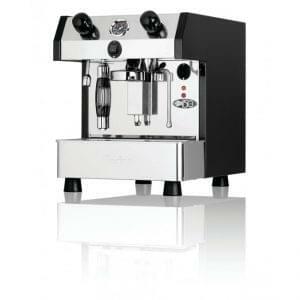 It can do anything your heart desires – from Espresso and Café Crème to Cappuccino, Café Latte, Latte Macchiato and even Milk Choc and Chociatto. At the push of a button, reliably and of top quality. 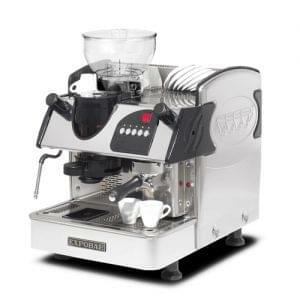 The WMF 1200 S is also entirely made in Germany from high quality materials. Every single machine is tested inside and out before delivery by experts. 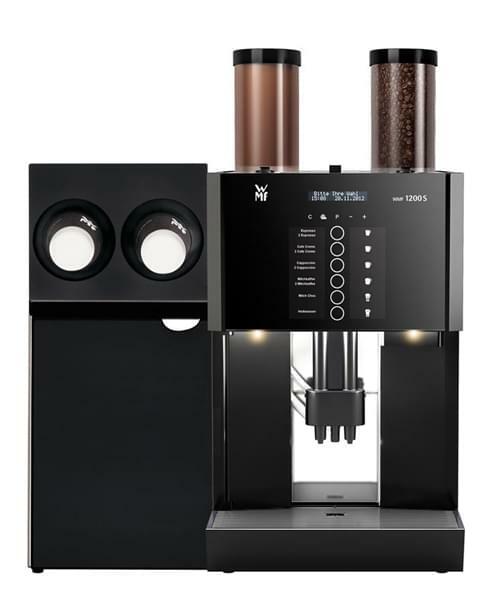 The self-explanatory display makes the path to your perfect coffee enjoyment child’s play. 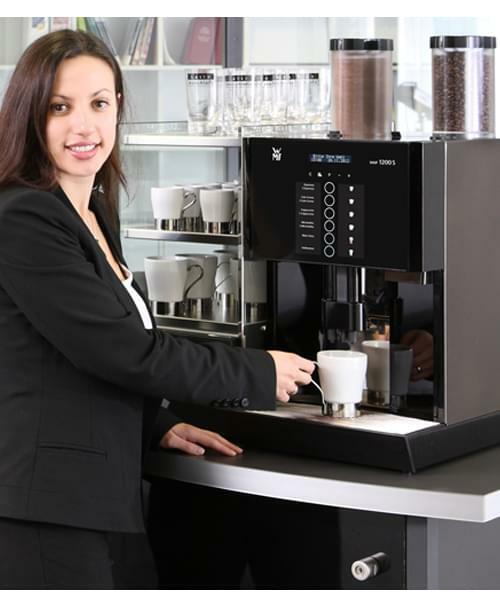 It’s modern design, intuitive operation as well as the proven professional technology and the revolutionary cleaning concept, the excellent customer service for which WMF is known and, last but not least, the price will convince you. The 1200 S can optionally also be equipped with a topping hopper. 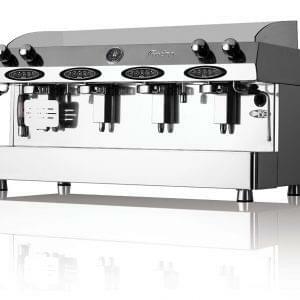 Therefore the machine is on the right spot wherever high quality and technology combined with a low number of cups per day is requested. Our lease options come with enough ingredients to make around 1,500 drinks to get you started, installation and training free of charge and no long term commitment to purchasing our ingredients.